Come and enjoy an oceans view of the world with Sea Tel Aviv! 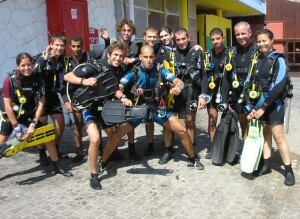 With Sea Tel Aviv you will receive a quality diving course that will prepare you for your underwater adventures. We offer private courses for 1-2 people and semi-private courses for up to 4 people. Our courses promise you maximum underwater time. All the courses are given by our experienced instructors led by Greg Lipsky. Scuba Diver- a certification course in just 2 days! Click here to contact us for prices or any other questions you may have and come explore the amazing underwater world with Sea Tel Aviv.